Oheka Castle is an incredible wedding venue in Huntington, New York. Where else in Long Island can you get married in an actual castle? Light. It’s what drives me to create bigger, better, and more powerful images. It’s my strongest tool, my favorite element. The juxtaposition of light and shadow helps me tell stories on wedding days. Many photographers prefer running for the open shade, or love the flat light of a cloudy wedding day. Not this photographer! I love the brilliant contrast of light and dark. It's how I tell stories. It's how I create dimension in a wedding photograph. It's part of what makes my wedding photography style distinctive and recognizable. 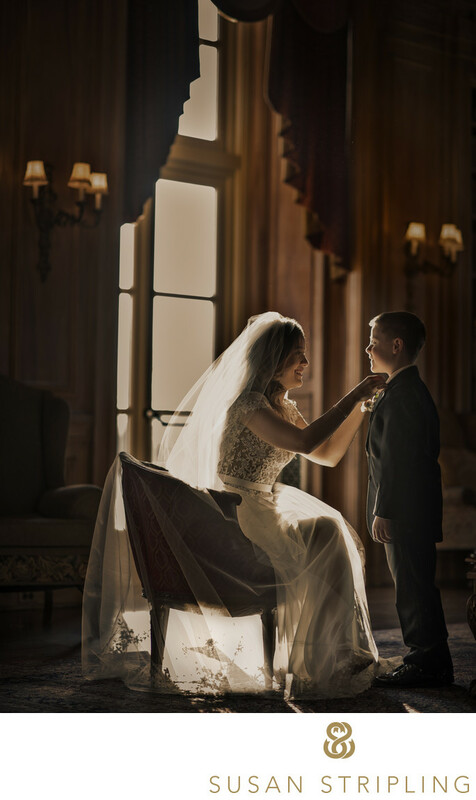 At Oheka Castle the light in the bridal suite is nothing short of spectacular. No matter what time of day, the light fills the room with a warm vibrancy. It's truly a treat as a Long Island wedding photographer to find a venue with such dimensional light. I've shot brides getting ready at Oheka Castle in the morning, noon and night. I've photographed them in the winter, spring, summer and fall. And every time, without exception, the light was wonderful in that bridal suite! Even when it was nighttime, the addition of a little video light helped make the room sing again. When this Indian bride was getting ready on her wedding day, I asked her to stand near the large windows in the suite. I positioned her at an angle to the window so that the light fell directionally across her face. Once the stage was set I stepped back and let the moments unfold naturally. By setting the scene like this I knew that I could be guaranteed good light no matter what transpired next. 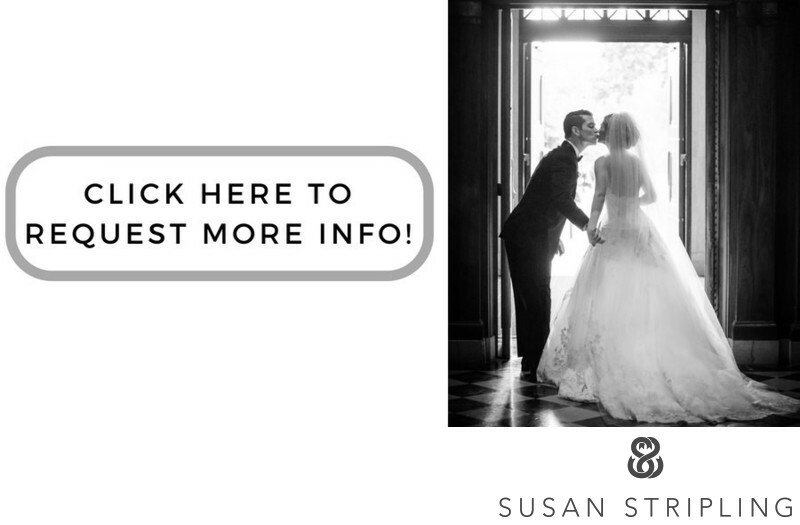 Many clients will ask me if I’ve worked at a particular venue before, and had this client asked I could have said yes, I’d shot weddings at Oheka Castle before. But even if I’d never photographed a single wedding at Oheka, I could have made this image. It doesn’t take insider knowledge of a venue to be able to make compelling images there. It takes an understanding of light, a quick intuition, and the ability to think on your feet to create beautiful images no matter if you’ve been to a venue once or dozens of times! 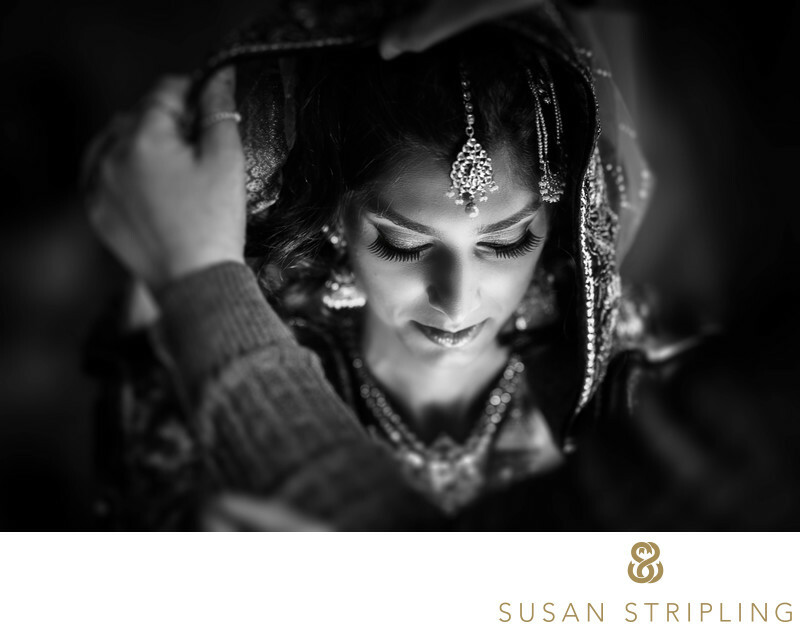 I love the delicate light on the bride’s face, the sweet quietness of the moment, and the gorgeous drama of the black and white. I love how the jewels frame her face and how the light creates a natural vignette. This image was a wonderful start to a beautiful day! Keywords: Huntington (183), Indian (168), Oheka Castle (225). 1/160; f/1.8; ISO 160; 85.0 mm.